The Firm makes available to each Client a team, coordinated at all times by one or more of our lead Partners. 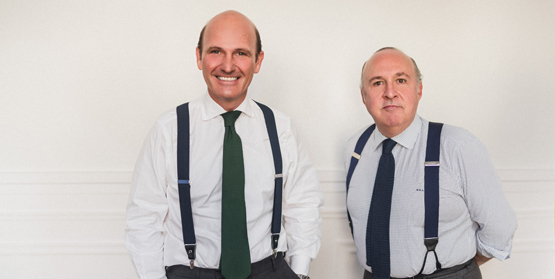 Our teams are comprised of professionals specialised in our legal sector practice areas, who focus on providing an agile, proactive and personalised response to each project. Iñigo Gómez Bilbao is a Partner of the Firm, where he leads the Insolvency and Financial and Corporate Restructuring Area. 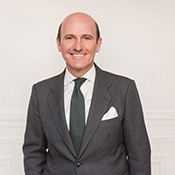 Additionally, he is Honorary Consul of the Republic of Letonia, with jurisdiction over Cantabria, Basque Country, Navarra and La Rioja; General Secretary of the Consular Body of Bilbao; and university professor at Universidad de Barcelona. Iñigo is specialized in civil, corporate and insolvency matters. He is a qualified and practicing lawyer since 1998. Iñigo practices as insolvency administrator, appointed by the Bilbao, Madrid, Palencia and Cordoba Courts in insolvency proceedings. Additionally, he advises on debt refinancing transactions and sale of business units in the context of insolvency proceedings, and he acts as counsel to the insolvent party in a high number of insolvency proceedings. Itxaso García Echevarría is Team Leader of Litigation and Arbitration at the Insolvency and Financial and Corporate Restructuring department. Previously, she worked at Z&G Abogados. Itxaso specialises in civil, corporate and insolvency, and is a practicing lawyer since 2006. In addition, she is an insolvency administrator, selected by the courts of Bilbao, and she also collaborates with Iñigo Gómez Bilbao in certain insolvency proceedings for which the latter is selected as insolvency administrator, where she carries out administration, direction and liquidation roles. Furthermore, Itxaso has intervened in numerous insolvency proceedings as legal advisor to companies throughout the automation, promotion, construction and metal industry. As a specialist in civil and corporate matters, more particularly related to litigation, she represents and negotiates out-of-court agreements; leads proceedings ensuing from societal issues (among others, shareholder agreements, directors’ responsibility, or challenging corporate decisions); acts as defending lawyer in civil and corporate actions (among others, those ensuing from distribution contracts, agency or corporate commission; lease agreements; debt claims; effectiveness, execution or termination of contracts; successions; incapacitation; and unfair competition); and leads all types of arbitration proceedings up until the arbitral award, and throughout the subsequent court proceedings, if applicable. Itxaso has a Law Degree from Universidad de Deusto (2005). Cristina Vicario Platel is Team Leader of the Insolvency and Financial and Corporate Restructuring Area. She has previously at ASECOEX, S.L. and at financial entities like CAJA MADRID (currently BANKIA) y Bilbao Bizkaia Kutxa (currently KUTXABANK). Cristina is a specialist in corporate matters and has broad experience in corporate debt refinancing and restructuring transactions. Furthermore, Cristina acts as legal advisor in numerous insolvency proceedings, as well as advises on potential responsibilities of administrators, managers and representative of insolvent companies or of those close to insolvency. Cristina has experience negotiating and closing national and international, civil and corporate contracts (association and agency agreements; service supply, distribution, supply, confidentiality and lease contracts; licenses agreements; know-how assignment; franchise agreements; general contracting conditions; and so on). She has also been part of planning processes for restructuring transactions, mergers, acquisitions and corporate structural design, both national and international. 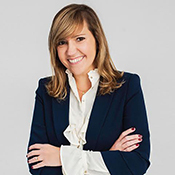 Cristina has a Law degree with an Economic Specialty from Universidad de Deusto (2007), a Master in Tax Advice from Universidad de Deusto (2009) and, nowadays, she is a Doctoral Student in “Fundamentos del Derecho, Derecho económico y Derecho de la empresa” (2010). She speaks Spanish and English fluently. Cristina is a member of the Vizcaya Bar Association since 2010. She is also registered as an insolvency proceedings Administrator with the Vizcaya and Madrid Bar Associations and has participated in many conferences and forums of Insolvency and Corporate Restructuring. Magdalena de Cal Arriaga is an Associate in the Infrastructure, Construction and Major Projects Area. 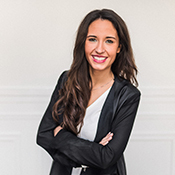 Before joining ITER Law, she collaborated with international law firms such as Baker McKenzie and Pérez-Llorca. 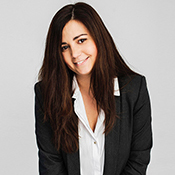 Magdalena has experience advising on corporate, commercial and contracting matters in M&A transactions, banking and finance projects, especially for fintech companies. Currently she advises primarily project promoters, construction and concessionaire companies and other infrastructure operators, as well as financing institutions and institutional and private investors. Magdalena holds a Double Degree in Law and Business from the Universidad Autónoma de Madrid (2016) and has studied the Masters in Legal Practice at Universidad Carlos III. Magdalena is a member of Madrid’s Bar Association. Magdalena is fluent in English and Spanish.